DIN-Rail Mount Fan Speed Controller for Ceiling mounted fan Types. 6ch each is 2A. Each can handle up to 5 Fan Speed status. 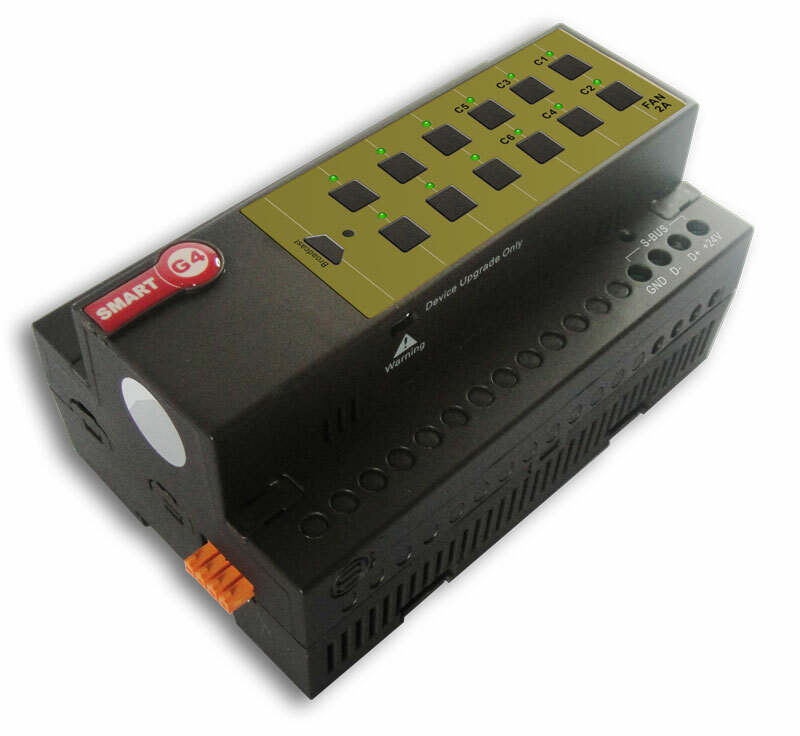 (Green operated supplied by 24VAC/30mA) Small and elegant with easy labeling space, output status LED indicator, network health, broadcast address button and Momentary channel button. Can be used in any location that require energy saving, intelligent climate control such as apartment, Villa, Offices, Restaurant, Hotels or factories. **Can be Manually Programmed by any Electrician on site without need for PC. WHY G4 (GENERATION-4) IS BETTER? Q. 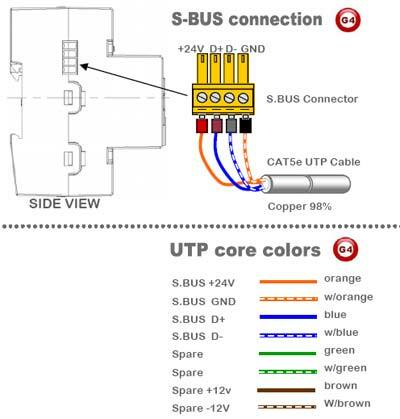 How many fans Can connected to the FAN control module And what type? A. 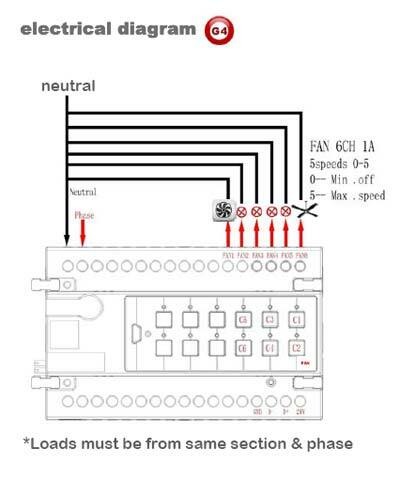 Total of 6 Fans can be connected, each can have up to 5 speed (0=off, 1,2,3, & 4=Max). you can connect any variable electric motor fan like ceiling fan, exhaust fan, or Lopper=Fans. Q. How many electric phases can the Fan Module Take? Q. Can this fan module also be used to control fan speed of HVAC (FCU/AHU etc.?)? A. No, this fan module cannot be used for this function. HVAC controllers have ready Preset fan speed according to the system manufacturer that should not be altered, thus only use HVAC2 module for this operation. The FAN module is used for ceilig fans Mainly or similar. Apartment, Villa, Offices, Restaurant, Hotels or factories.